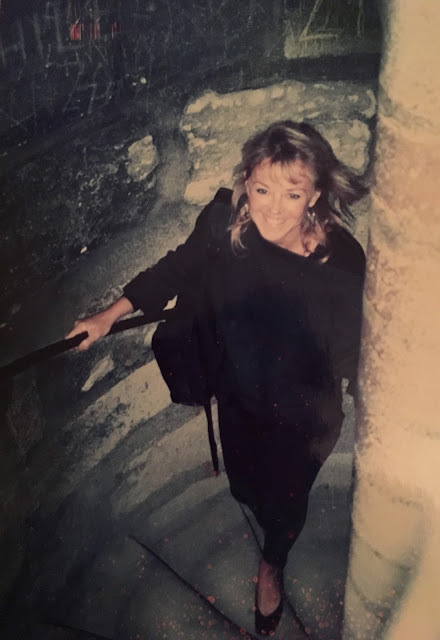 Me, Climbing the steps of Notre Dame, 1989. Twenty eight years. That’s how long it’s been since I’ve been to France. I was there as a single woman in my middish-thirties, traveling with a female friend, a EurailPass in my waist pack and—in those pre-internet days—a copy of Let’sGo: Europe in my backpack. I had barely enough cash to cover what would turn out to be a ten week tour of Europe. That trip remains one of the great adventures of my life. After 28 years I am finally going back. This time I go back as an old married lady in my sixties with an equally old hubby in tow. Almost equally, I’ll be celebrating my 64th birthday in France, my ‘younger man’ just turned sixty. We’ll have been married twenty five years in October, a fact we’re using as an excuse for taking what feels like an extravagantly long trip abroad. Thirty days with stops in England, France and Italy. We haven’t finalized anything except our flights—we land and depart from London. The other thing that hasn’t entirely changed is the budget. No backpacks this time around but we won’t be staying at the George V in Paris or the Hôtel du Cap-Eden-Roc in the Antibes a la F. Scott Fitzgerald. Still, we can’t wait. To be honest, my husband is much more interested in seeing London than he is Paris, his love of Sherlock Holmes has Baker Street calling to him. He’s not sure how we’ll find enough to do to spend five days in the City of Lights. How can I explain that Paris is more than a beautiful place, although it is that, spectacularly so? Full of architecture, art museums, history and colors unlike any other? 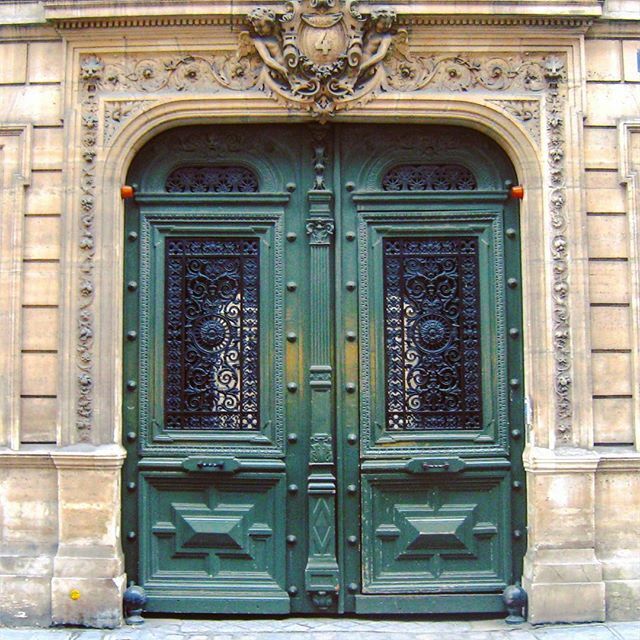 That I could spend the entire time taking pictures of Parisian doors like Raquel does on her Instagram? Or visiting all the locations from the movie Gigi? That he has to see, smell, taste and hear Paris; the smell of the early morning croissant dipped into a cup of coffee, the clank of the heavy china gathered from bistro tables, the sound of French horns outside on the street, the sound of the French language itself, all around, like a symphony. Our son assures him he will love the city. That of course he has to see the Louvre but that the Musee d’Orsay can’t be missed. That the architecture of the former train station and all those Impressionists were dazzling. That we need to walk in the Tuileries and, because he knows his father and I both loved the extravagance of Hearst Castle, that we have to take a half day trip to Versailles. William Randolph Hearst must surely have been trying to emulate the extravagance of the Sun King, mais oui? If we can, our twenty-four year old son advises, we should see the Eiffel Tower at night and take a bottle of wine down to Seine to drink. He doesn’t remember the name of the nearby bridge* but at night the steps which lead down into the Seine were full of people sitting and drinking wine, singing and playing guitars. He has that faraway look in his eyes when he thinks back to his own trip, that look you get when the remembered place comes back to life, lighting up all your senses. That look of delicious satisfaction you get when travel has touched you deeply. It’s a look I hope my husband will get after he sees and hears Paris for himself. * As near as I can tell, the bridge is Pont d’léna but to be honest I think our days of drinking-wine-down-by-the-river are behind us. But who knows? That’s the thing about travel, the surprising things you see, the surprising ways you respond to them. Sounds like an image I’d like to share on my own Instagram. Connect with Dreaming of France, hosted by An Accidental Blog. Sooo excited that you are actually doing it! We enjoyed riding on the Bateaux Mouches in the evening so we could see the Eiffel Tower sparkle. We'll be in Paris on May 19-21 and if our trips could collide -- squee! I'd love to get together in Paris, even if it is near a bridge to drink wine while watching the Eiffel Tower. I hope we can figure something out too! And thanks for introducing me to the word 'squee'!